The last month before summer was intensive and full of important events. Various political news that overfilled newspapers' headlines and TV boxes finally stopped dominating and took the appropriate place. The world economy is said to be getting more active. Well, the Earth keeps on rotating, and no cataclysms, wars or epidemics are able to suppress the technical progress, maybe just hold a little back for a while. It's finally determined when Computex 2003 is to take place: the organizers, Taipei Computer Association (TCA) and China External Trade Development Council (CETRA) announced that the show is to take place on September, 22 - 26. They have already registered 1148 companies which are going to take 2467 halls. I hope SARS will be localized by that time and won't hamper development of the semiconductor industry anymore. It's interesting that neither the second war in Iraq nor SARS have had any strong effect on performance of most companies producing PC components. At least, three of four leading board makers - Asustek, Gigabyte and MSI report considerable incomes in the first quarter. At the same time, Elitegroup ECS informs about a 60% drop in profit. 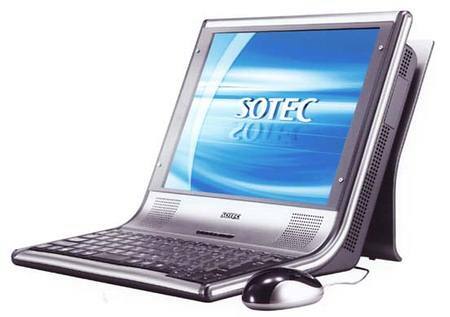 Most Taiwanese board makers of the second echelon (except Soyo Computer and Epox Computer) were profitable as well, and Shuttle demonstrated considerable sales growth, mostly thanks to successful deliveries of barebone systems of the XPC series (about 116,000 pcs). Another incentive of the successful market development was announcement of chipsets of Intel's new 865 line (Springdale). However, the analysts predict that the deliveries of this series won't exceed 15% of all Intel's chipsets. Boards based on the cheaper i845 chipsets are still popular. Also remember that i865 based boards started shipping only at the end of May, and the current seasonal demand is quite high. The prices for the i865 (Springdale) chipsets will be cut down no sooner than June 29. Moreover, the price abatement will be just $1-$2; the i865 based boards are expected to get markedly cheaper only in the second half of Q3 when the Taiwanese chipset makers - SiS and VIA - start volume deliveries of their solutions supporting the 800 MHz FSB and dual-channel DDR400, - SiS655FX/SiS661FX and PT880. Until that time the Springdale will have only the single-channel SiS648FX to compete with, and a bit later - VIA PT800 (single-channel too). The price tendency in the sector of graphics chips production looks interesting. The GPU market which is divided by analysts in 4 segments - desktop discrete and integrated graphics and portable discrete and integrated graphics - shrank by 5% in Q1 2003 (against the figures of the last quarter), while the total shipments of the chips ran into 53 M pieces. Nevertheless, judging by the results of the first fiscal quarter of 2003 voiced by Mercury Research, NVIDIA keeps the lead, the sixth quarter in a row. Its current share makes 31%. The second position is after Intel with 29% of sales in this sector, while ATI has reached only 19%. In production of discrete graphics for desktop PCs the throne also belongs to NVIDIA which owns 64%, while ATI can boast of only 28%. At the same time, ATI possesses 60% of the market of discrete graphics chips for portable PCs, while NVIDIA is left with 31%. The analysts at Mercury Research were quite surprised seeing no growth of ATI's share on the market of desktop discrete graphics though the company released several successful solutions. The prices for GPUs are even more interesting: graphics cards are getting cheaper, the manufacturers cut prices for old models welcoming new solutions with DirectX 9 support. The sales of GeForce FX 5900 based cards are starting, the volumes of GeForce FX 5600 chips shipped are growing up. At the same time, some companies producing cards based on ATI's chips are extending their lines with Radeon 9800 PRO based models with 256 MB DDRII memory. The pricecuts were the most considerable for the GeForce4 MX 440 based cards because most market players had large stocks of those chips. The prices were trimmed for the GeForce4 Ti4200 solutions as well. Since ATI's processors are not shipped regularly, the prices for such cards do not fall down so rapidly. In general, the shortage of graphics chips increased the demand for video cards in spite of a traditional seasonal slack. On the memory market, after the announcement of the Springdale chipset that had DDR400 support some Taiwanese memory chip makers started volume shipments of DDR400 onto the spot market. They believe that the aggressive marketing policy on that market will quickly make prices for DDR400 affordable for PC assemblers, which, in its turn, will increase the demand for memory. Generally speaking, the situation on the memory market remains the same: oversupply of inventories and slack, with the hope for sooner revival. The poor demand for all types of DRAM chips is caused by the drop in sales of PCs in China and other Asian areas because of SARS. However, by the end of May / beginning of June the retail sales started growing up again mostly at the expense of the Chinese market activity. At present, DDR333 and DDR400 MHz modules are required most of all. The analysts forecast that mainboards supporting 800 MHz FSB and dual-channel memory will become the hit of sales. It will also foster sales of boards based on the i845 chipsets and growth of demand for the DDR266. In the middle of May Intel announced that they were going to roll up sales of chipsets with RDRAM support - i850E and i860, by May 2004. How quickly the RIMM modules will disappear is not clear yet. A bit later the reduction of the RDRAM modules output was proclaimed by ABIT, the company that made the unique SI7 board based on the SiSR658. Now ABIT plans no sales of the SI7, as well as no production of solutions for RDRAM. However, SiS itself remains faithful to Rambus and promises a chipset for the 4-channel RDRAM (32-bit RIMM 4200). The SIS963L will be the south bridge, and the boards will have a 800MHz FSB and support AGP 8x, S-ATA and other features. Such boards are expected from EPoX by the end of the summer. The last year's skeptical attitude towards development of tablet PCs proved to be true according to the world sales volumes reported in May. Acer that delivered about 25,000 tablet PCs in Q4 2002 admitted 50% sales cuts in Q1 2003. The sales started growing up only after the release of the TravelMate C110 based on the Centrino platform, and now they have increased only by 20%-30% relative to the beginning of the year. The sales are getting poorer mostly because of high retail prices for Tablet PCs - $1700-$2500. Another reason is that Microsoft, the main sponsor, didn't render the necessary support for the hardware manufacturers. By the way, Microsoft considers that the current volume of the tablet PC market meets the forecasts, and expect higher demands by the year end, after the Office 2003 release. Microsoft, however, takes seriously development of the mobile PC market and hardly leaves any loopholes for rivals. Beside the Windows CE.NET 4.2, a new version of the operating real-time platform for embedded applications, the company also announced the fifth version of Windows named Windows Automotive 4.2 which consists of the updated OS and applications for automotive electronics, and is based on the Windows CE.NET 4.2. Unlike the previous version, the Windows Automotive 4.2 includes the support of the wireless Bluetooth interface, Speech Application Programming Interface (SAPI) 5.0, and Microsoft .NET Compact Framework. Once we touched upon Microsoft, let's have a look at their new conceptions disclosed at WinHEC 2003 held in May. At that conference Microsoft and Hewlett-Packard showed a prototype of a new-generation PC - Athens, developed for telephone talks, participation in video conferences, reception of fax messages, processing of e-mail, exchange of short messages in the real-time mode and a lot of other things. 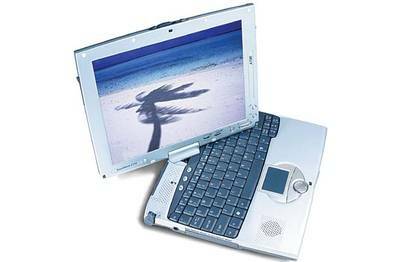 The Athens was represented as the Next Generation Enterprise Personal Computer. It looks unusual and reminds Apple's products :-). When talking about this PC, Bill Gates explained that they accounted for a lot of nuances and for the fact that the PC's role can change in the future, i.e. if today it's a multimedia center with office features supported, in future it will be a center designed for interactive communication with other people. The main event in this sphere was that Intel dropped the 157 nm tools from its lithography roadmap. According to Intel, there are several factors that triggered that solution: technological problems (mostly with quality and release of optical systems based on the calcium fluoride), lack of a reasonable price compromise, and problems with photoresistors. So, the 193nm lithography will be used in 90 nm, 65 nm and even 45 nm technological processes of the company. The most probable follower of the current Intel technology will be Extreme Ultra Violet (EUV). In particular, they consider using EUV on lines with 32 nm norms. Supposedly, the life cycle of the technological process with 193nm scanners used is planned to be extended with immersion technologies. The industry responded to Intel's announcement in different ways. For example, Texas Instruments agrees that it makes sense to extend the life cycle of 193 nm tools up to 45 nm norms but they do not share Intel's view on the prospects of 157 nm scanners at least because the 193nm lithography was predicted to have a tough future. Besides, some consider that Intel takes the risk planning to apply the EUV lithography to 32 nm norms by 2007, - many say that 2009 or even 2011 looks more realistic. On the other hand, Motorola assumes that Intel's refusal from 157 nm tools is a reasonable solution. What should the leading manufacturers of lithographic equipment - ASML, Canon, Nikon and others - do? As you might know, ASML and Nikon advocated the 157 nm tools and spent a great deal of money for their development. However, the industry needs the immersion technology. The problems of bringing this technology into life will be discussed at the symposium under the aegis of International Sematech which will take place in the middle of July in IBM's research center Almaden. I think by August we will get more information on Intel's plans in this sphere. Besides, the fall IDF forums are not that far. In May Intel informed about specifications for the Advanced Host Controller Interface (AHCI) for the Serial ATA interface (Advanced Technology Attachment) v0.95. The final specs are expected in the beginning of 2004; however, v0.95 will allow for volume production of discrete AHCI Serial ATA host controllers which are planned for the end of 2003. The AHCI standard was developed by The AHCI Contributor Group composed of such companies as Intel, AMD, Dell, Marvell, Maxtor, Microsoft, Red Hat, Seagate and StorageGear. The AHCI specs describe a standardized interface platform with drivers and OS functions for implementation of such SATA features as organization of op queues, hot connection, power supply management etc. The new specification will be supported at the level of the AHCI integration in chipsets in 2004, and at the level of AHCI drivers integrated into the next Windows version. The group developing a standard similar to the IEEE1394 for wireless video transmission based on the specs of 802.15.3 is also doing well. The group consists of such companies as Sony, Philips, Pioneer etc. It's expected that in June the workgroup will release the 1394 Trade Association specification of the 802.15.3 protocol using the model developed by the 802.11 group. If the specs are ratified, it will be possible to use 1394 ports with wireless network adapters without any modifications. However, the announcement of the final specification 802.11g expected in June is a much closer and realistic event. Although the final version is not official, the market already offers some solutions based on the 802.11g standard, for example, from Apple and D-Link. Some other companies, however, prefer to wait until June (Hewlett-Packard and Texas Instruments). The e-paper is getting closer to the volume production. 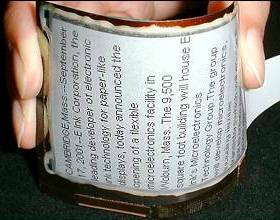 Thus, E Ink - one of the companies working on flexible displays for electronic newspapers and books - created a material 0.3 mm thick which can display information in the monochrome mode with the resolution of 96 dpi. The new material is very flexible: the working display can be rolled up in a tube of only 1.5 cm in diameter without image quality losses. The technology works the following way: the display active layer contains miniature capsules with black and white particles. When the negative potential is applied to the control electrodes, they attract white particles with the positive charge, and vice versa. The 3" display of 160 x 240 pixels has foil in its base (stainless steel) with a layer of control electrodes above and two-color capsules below. The company is now working on the response time of such display. At the moment, a new page appears in a quarter of a second, but E Ink is assured that this parameter will soon be decreased by a factor of 10, which will allow even for video playback. Besides, the group of developers is working on a wireless interface for such screen. Color displays will be the next step in this sphere. Anyway, at the SID 2003 (Society for Information Display) held in May E Ink reported the readiness for mass production. 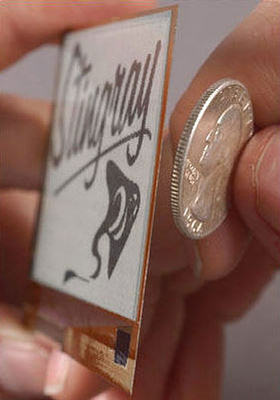 The current prototype of the flexible display has a service life of over 30,000 hours. The e-display production will be started together with Toppan Printing, and electronic components will be produced by Philips. The first samples of E-Ink's e-books are expected at the beginning of 2004. 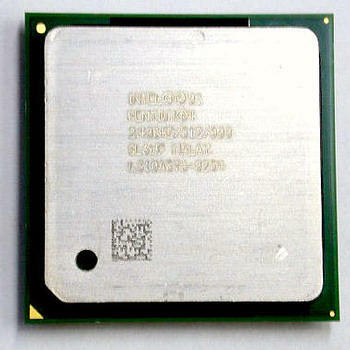 The main event in May for AMD and its partners was the release of the Athlon XP 3200+ processor. The new chip is built on the Barton core, and like its predecessors it is rated 3000+/2800+. They differ in the 400MHz FSB support. The actual clock speed of the new processor is 2.2 GHz (against 2.167 GHz of the previous chip 3000+ with the 333 MHz FSB). You can get more information on the processor in this review. The fact that AMD declared support of the FSB 400 MHz was a very important event in the chipset sphere. 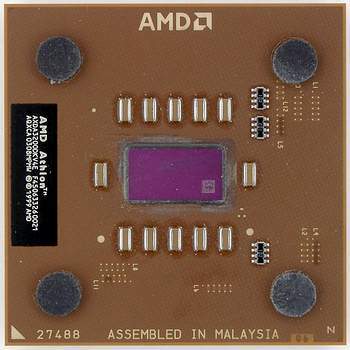 Almost all companies producing chipsets for the AMD K7 platform announced new versions. SiS announced that the new processor will be supported by the SiS748 (in the tandem with SiS963L), though the chipset is not new - it was released at the beginning of March, but it doesn't prevent it from supporting all features of the new chip. NVIDIA extended its nForce 2 line with nForce 2 Ultra 400 and nForce 2 400. Its flagship - nForce 2 Ultra 400 with the dual-channel DDR400 support is designed for high-performance mainboards. The chipset will come with Media and Communications Processor-Turbo (MCP-T) south bridges and a usual MCP. The nForce 2 400 is also discrete, it is a single-channel version with the 64-bit memory interface and DDR400 support. The chipset will have a usual MCP south bridge without integrated audio NVIDIA Soundstorm, FireWire interface and 3 Com 10/100 MAC. VIA Technologies entered the May's market with the VIA Apollo KT600 chipset which sports the 400 MHz FSB in comparison with the KT400A. The new processor is also supported by the integrated VIA UniChrome KM400A which is an updated version of the KM400 announced in the first half of April. It also differs from the KM400 only in the 400MHz bus support. Another announcement from AMD was the Athlon MP 2800+ chip meant for uni and dual-processor servers and workstations of 32-bit OSes. The price cuts in May took place twice: at the beginning of May the company trimmed prices for the models with the Barton core and at the end of May when almost all processors had their prices slashed by 20 - 30%. Intel also lowered prices for most models, but the most important event in May was announcement of three new Pentium 4 processors with the Hyper-Threading support and three chipsets of the i865 family (Springdale). The new Intel Pentium 4 processors clocked at 2.80C, 2.60C and 2.40C GHz and with the HT and 800MHz FSB support reached the retail market very soon. Besides, some mainboards based on the Springdale family - i865G, i865PE and i865P, got into stores yet before the official release. There is some curious facts on performance of the boards with such chipsets - you can find it in our article called i865 "Springdale" Family replaces i875P. Also, look for some spicy details on the PAT technology in the article Version: Secret of Performance of ASUS i875P/i865PE based Boards. There was only SiS among Intel's partners who responded to the new processors with the 800 MHz bus support - the company came up with the SiS648FX chipset bundled with the c SiS963L with the single-channel DDR400 support. Among the GPU makers NVIDIA seemed to be the most active - the company announced new GeForce FX 5900 / 5900 Ultra chips to replace the GeForce FX 5800 and GeForce FX 5800 Ultra. The company has no more plans for the GF FX 5800 series - NVIDIA tried the 0.13 micron technology on these chips, and now they give way to the NV35. The NV35 family employs the 0.13 micron technology, supports the core clock speed up to 450 MHz, 256bit memory up to 425 MHz, and up to 256 MB memory of the DDR/DDR2 standards. As compared to the GF FX 5800 family, the new GPUs have the memory bus doubled, which changes the possible peak throughput from 16 GB/s to 27.2 GB/s. Besides, the new generation supports the advanced High-Resolution Compression (HCT) technology of operation with 256bit memory - Intellisample HCT, as well as a new version of cinematographic effects for games - CineFX 2.0, with the UltraShadow technology of accelerated shadow and light rendering. 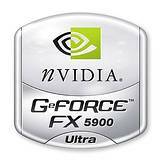 If you don't have an idea about the new series of NVIDIA's graphics chips, I recommend reading the review of NVIDIA GeForce FX 5900 Ultra (NV35) - a new 3D graphics chip. If you are interested in performance of the middle-range GeForce FX chips - NVIDIA GeForce FX 5600, note that a new stepping of these processors clocked at 400 MHz was recently released. The clock speed of the memory supported was lifted from 350 MHz to 400 MHz. In the professional graphics sphere NVIDIA had a new chip - Quadro FX 500 with a fully programmable core for entry-level workstations. 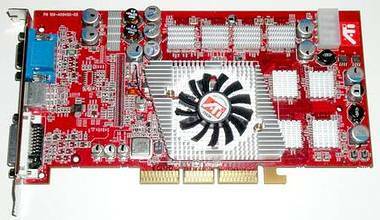 ATI's response to the GeForce FX 5900 series was beginning of supplies of the RADEON 9800 PRO 256MB cards with DDR-II memory. The memory/chip clock speeds of the new RADEON 9800 PRO 256MB card make 380 MHz/350 MHz (700 MHz DDR). The memory used is DDR-II with a 256bit bus. The design of the new card is similar to the layout of the 128MB version except the fact that the front and rear sides have eight 16MB DDR-II chips each, against the 128MB Radeon 9800 Pro coupled with 340 MHz (680 MHz) DDR-I memory; plus, each memory chip has a separate aluminum heatsink. ATI was followed by its partners who also started bringing out such solutions. You can get the test results of the Radeon 9800 Pro based cards with 256MB DDR-II in review of the Sapphire's RADEON 9200-9800 family and 256MB RADEON 9800 PRO. Besides, at the beginning of May ATI published a separate press-release where it notified about supplies into the retail market of RADEON 9600 PRO based cards. Note that the RADEON 9600 PRO chip was announced on March 6. Its features are described in the ATI RADEON 9600 PRO review. The memory market brought us mostly flash solutions. 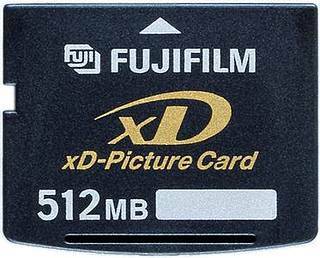 Thus, Olympus and Fujifilm extended their xD-Picture Cards up to 512 MB, and provided Lexar Media and Sandisk with licenses for their production. 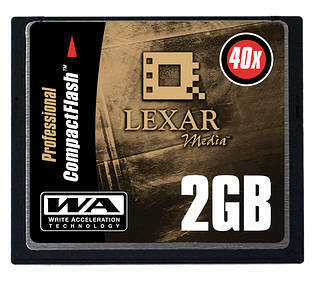 Lexar Media has started shipping 2GB CompactFlash Type I professional cards which support the 40X data rate and Write Acceleration technology (WA). 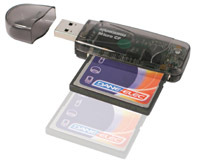 All known USB flash cards have already reached the size of 2 GB; such solutions with the USB2.0 interface were announced by Kanguru Solutions. Its 2 GB Kanguru Micro Drive 2.0 on the flash memory of the NAND type weigh only 21 g and support 32bit encryption and compression. 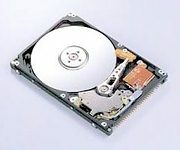 The tendency of miniaturization is well noticeable in the sphere of hard drives - for example, all interesting solutions arrived in May had the form-factor of 2.5" and less. Hitachi Global Storage Technologies entered the last month with a 2.5" mobile hard drive Travelstar 7K60 with the spindle speed of 7200 rpm and miniature femto heads. Hitachi also announced one more line of 2.5" models - Travelstar 5K80 with the spindle rotating at 5400 rpm and the size of 20 GB - 80 GB. Fujitsu started production of the 2.5" high-end hard drives for mobile PCs - MHT20xxAH. 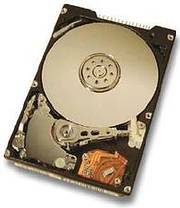 They support the spindle speed of 5400 rpm, has an enlarged 8MB buffer, and the size of 40 GB, 60 GB and 80 GB. The high record density - up to 69 Gbit per square inch - is ensured by plates based on the GDT (Glass Direct Texture) technology also used in Fujitsu's previous series. 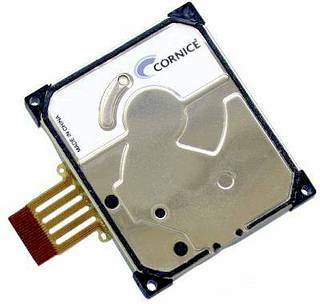 At the end of the month Cornice began to deliver the first generation of subminiature Storage Elements (SE) 1.5 GB. Beside the dimensions, the 1.5 GB Cornice SE is made of only 31 electric components and three chips against, for example, 110 components and 6 chips used in the IBM Microdrive. As to notebooks, there were several interesting models in May, and, in particular, Tadpole's Sparcle priced at about $3000. Until recently the company sold "real" notebooks based on low-power UltraSPARC chips, but they were selling at $5000 to $12000. ECS's approach used over a year ago turned to be effective in case of the Sun platforms as well - the Sparcle notebook is based on a usual server 440 MHz UltraSPARC-IIe chip and Sun Solaris OS, and its price is competitive to desktop workstations. The next model, Sparcle 500X, with a 500 MHz processor, 512 MB memory and an integrated wireless connection adapter will be much pricier - $3995. The most expensive model, 650SX ($5995), will have the 650 MHz processor under the hood. In closing, let me show you a few devices with an effective design. One of them is Acer's tablet PC TravelMate C110TCi (about $2200) based on the Centrino platform. It uses the i855GM chipset, ULV Pentium M 900 MHz processor, 512 MB memory, 40 GB hard drive, 10.4" XGA LCD, and incorporates modern ports and interfaces. By the way, here you can read about the previous model TravelMate C100 based on the 866 MHz Pentium III-M. The Afina AS concept developed by Sotec has an elegant design as well. The company plans on starting deliveries of PCs having the Afina AS design this summer. 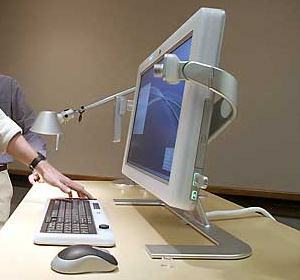 The Afina AS concept is a desktop PC with the LCD being an integral part of the PC case, and the optical drive and other components placed there. The basic model of the Afina AS series weighs 4.1 kg and is built on the integrated chipset ProSavageDDR KN266, 12.1" XGA LCD, Mobile Athlon XP-1600+/1800+ CPU, 256 MB PC2100, DVD-ROM or DVD/CD-RW drive, 40 GB or 80 GB HDD and integrated TV tuner. A keyboard and a mouse will ship together with the computer. 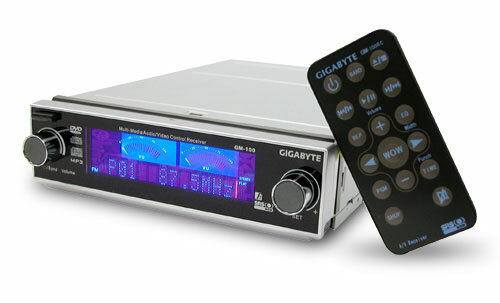 Finally, we have a multimedia player from Gigabyte named GO-M1600A which also has an unusual appearance. The Gigabyte GO-M1600A is a real multimedia combo drive for a 5.25" bay which consists of an FM tuner (87.5 MHz - 108 MHz for USA/Europe, 76 MHz - 91 MHz for Japan), an MP3 player (MPEG 1 Layer 2/3) and a DVD-ROM/CD-ROM drive (16X DVD-ROM, 48X CD-ROM). It's also equipped with a VFD (Vacuum Fluorescent Display) that supports multifunctional displaying of information on Audio/Video Source / Sound Effect / FM Tuner and so on. The Gigabyte GO-M1600A can play DVD with the OS and respective software started up, but it can play CD-ROM/FM/MP3 even when the PC is turned off.